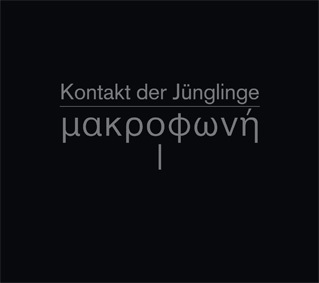 The first album by Kontakt der Jünglinge since the release of their CD n (DS63) on Die Stadt back in 2003, »Makrophonie 1« is also their very first studio album. It's the result of various scores which were developed before and during miscellaneous live performances. These worked out structures were then taken to the studio, where they were concentrated and received their final finish. 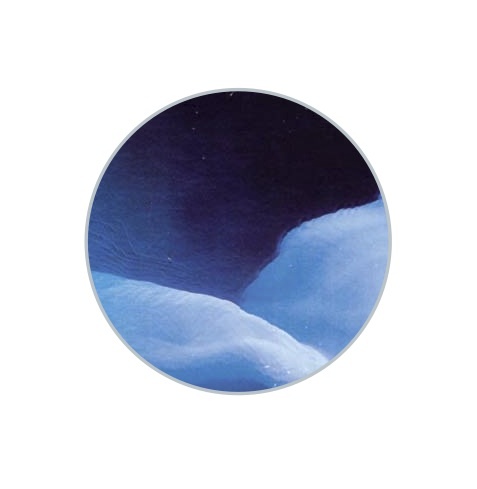 »Makrophonie 1« can be described as KDJ music in highly-concentrated form. The album was recorded at Audiplex Studios, Hamburg in 2013 and produced by Okko Bekker. Limited edition of 500 copies in Digipack cover. Kontakt der Jünglinge is a cross-generational collaboration between sound artists Thomas Köner and his friend and mentor, Asmus Tietchens. The project is an homage to Stockhausen, playing on the titles of two of his most famous pieces, »Gesang der Jünglinge« (195556), once described as »the first masterpiece of electronic music« and »Kontakte« (195860), one of Stockhausen's paradigmatic early works. 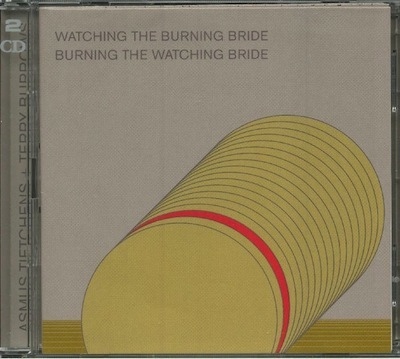 Kontakt der Jünglinge 1 (DS34) was released on Die Stadt in 2001 and features the duo's first performance, which took place in the »Lagerhaus« Bremen / Germany in December 1999, followed by three more albums feat. the live performances 0 (DS39), -1 (DS48), n (DS63) and the box set Frühruin (DS69), also incl. a 3" CD feat. a solo track by each artist, between 20012004. The performances of Kontakt der Jünglinge can be described as »always intuitive personal explorations of sonic material resulting in unexpected and exciting modern music«. Asmus Tietchens (1947) has had a significant influence on the development of German electronic music, as well as on industrial, noise, and experimental music, though he explicitly eschews well-defined genres. He is extremely prolific, recording under the monikers Hematic Sunsets and Club of Rome among others, as well as under his own name. His extensive catalogue has brought him some of the most important German awards in the field of tonal art (including the Karl-Sczuka-Preis für Akustische Kunst award which he won in both 2003 and 2006). Born in Hamburg, Tietchens began experimenting with tape loops as a teen in the mid 60s. When he started using synthesizers in the early 70s, his music showed affinities with musique concréte, serialism, minimalism, and krautrock. His work has strong ties to Karlheinz Stockhausen's early electronic pieces in that they are »intuitive and personal explorations of the studio as an instrument, of a specific musical notion, or collaboration«. He has taught acoustics in Hamburg since 1989. Die Stadt rereleases all his early albums between 19801991, which were previously only available on Vinyl, on CD. This series includes a total of 17 albums, all of them feat. unreleased studio tracks from the same era, plus the original artwork and liner notes by the artist. Thomas Köner (1965) is a successful sound and video artist whose primary interest is the exploration of »sound colour« and combining visual and auditory experiences. Köner studied electronic music at the CEM studio in Arnhem in the late 80s, after which he studied at the Dortmund Conservatorium. His first album, Nunatak Gongamur was released on Dutch label Barooni in 1990, followed by Teimo and Permafrost in 92 and 93 respectively. Both albums were rereleased on Mille Plateaux in 1997, and all three were again released in 2010 as a compilation on UK-based label Type records. His first album for Die Stadt »Unerforschtes Gebiet« was first released as a Picture LP (DS43) in 2002, and shortly afterwards in 2003 also in an extended version on CD (DS56). Köner worked at Ruhr Sound Studios in Dortmund in the early 90s. He has won many prestigious international awards such as the Golden Nica, Prix Ars Electronica, Linz, Transmediale.05 Award, Berlin and Tiger Club Award at the International Film Festival Rotterdam. He is also active in the techno world as one half of Porter Ricks, a duo with producer Andy Mellweg. A Three track EP released in conjunction with a live performance on the 29th April 2012 on the MS STUBNITZ in Bremen. Initial copies were given away for free to ticket holders on the night of the concert. Exclusive tracks by all artists. Limited edition of 500 numbered copies in full color slipcase cover. Part 16 in the ongoing re-release series of all early Asmus Tietchens vinyl albums. Both collaborative albums with british sound artist Terry Burrows released on a double CD. With extensive liner notes by Terry Burrows and two extra tracks. Joint release with AUF ABWEGEN. 600 copies. To pay, you have two options: PayPal or bank transfer. NO PAYMENT BY CREDIT CARD ! Sorry.